The All Star break is done, the trade deadline has passed and now we keep our eye on the ever-changing playoff seeds as we finish the last quarter of the season. With 22 games left (for most teams) the NBA season is coming down to the wire. The Western Conference bottom half of the playoffs is a dogfight with five teams battling for four spots. Let’s get into this weeks column. In fairness I should have just titled this section the Blazers with CJ McCollum also on a tear but I wanted to tie in the snubbing of Damian Lillard at the All Star game, which will cause opposing coaches to have some sleepless nights. 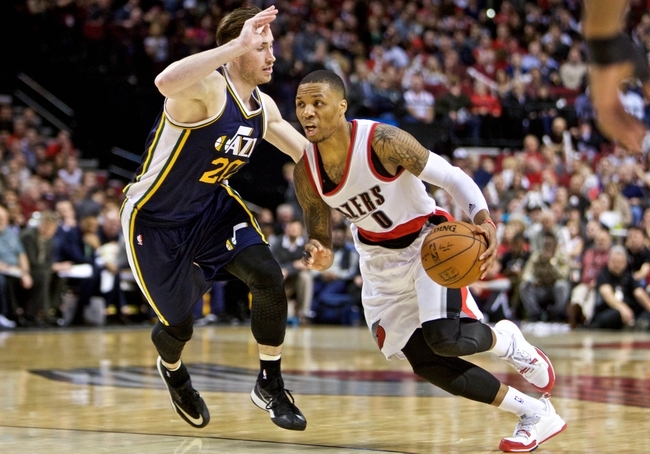 Since the All Star reserves were announced Damian Lillard is scoring 27.8 ppg, 8.1 apg, 3.8 rpg on 45% from the field. He has four consecutive games with 30 points or more including that famous 51 points on the victory over the Warriors. It’s not just Damian that is on a tear but the entire team is playing well. Portland has won 14 out of their last 17 games including victories over Cleveland, Golden State and the Thunder. With only 26 games left the Blazers are in a good position to make the post season, especially since only 16 of those games are against playoff teams. Another team fighting for a playoff birth this season in the Western Conference is the Utah Jazz. I was on 1280 the Zone in Utah gushing about how the Jazz have been performing as of late as they make their push. I’ll start with the bad news, the Jazz have only 22 games and 15 of those games are against playoff teams. The good news is they are finally getting healthy with Favors and Gobert playing well together. The addition of Shelvin Mack will help solidify that point guard group, as we saw in his first game (although it was a tough loss to Portland, see above). On top of this, Gordon Hayward has been playing out of his mind as of late. He has averaging 21 points per game in 2016. The Jazz need a playoff appearance more than they need a draft pick, a debate that is often had in the twitter-verse where the analytical nerds love probability whereas people in the NBA community understand and value experience. The Jazz have everyone outside of Trevor Booker, and a team option for Shelvin Mack, under contract next year at only $57 million. Their core of Hayward (25), Derrick Favors (24), Rudy Gobert (23), Burks (24), Burke (23), Exum (20) and Mack (25) are all in their pre-primes. Dennis Lindsey has done an excellent job with this roster and hopefully he got to take care of the tree that fell on his house during the deadline. Living in the Boston area, I have watched more Celtic games than any other team in the league. This year it has been a blessing because this group of “non All-Stars” (minus Isaiah for his deserving spot in the game) plays hard every night. They do not quit, take plays off and they play for each other. The debate at the deadline was that they should have moved the Brooklyn Nets 2016 first rounder for someone like Al Horford, Blake, Cousins, Howard, etc. Blake wasn’t available according to Rivers, neither was Cousins, Howard would not be worth that pick and Horford would be debatable for that pick. What the pro-Horford camp was missing, in my opinion, is that he is a free agent this summer. The Celtics can get Horford while keeping that potential top 4 draft pick. I feel like people following this team haven’t been honest to themselves. Horford would give them a chance to make the conference finals but it would not have propelled them to the Finals (to an inevitable demise against the Spurs or Warriors.) They didn’t need to make a move because they have a cap friendly roster, great assets to make a splash in the off season, or they draft their picks and make trades after. There weren’t any championship caliber trades for the Celtics and I think Danny knew this. We always have the beloved rumor Danny floated on Boston airwaves that there was a blockbuster deal that no one was talking about that the opposing team pulled out last minute. There is discontent brewing in Chicago. It started with the mishandling of Tom Thibodeau and has carried over into this underachieving year. We have had players come forth in the media displaying their dissatisfaction with rotations or effort. To top it all off, it appears this ownership and GM group are living in their own world. This Bulls group has peaked, in many experts eyes. Ownership does not see this. They are keen on keeping the band together, in fact, recent news surfaced they want to re-sign Pau Gasol when the season is done for a few more years. Injuries have riddled their seasons. The ownership must make a decision to move forward with Rose and Butler, or one of them. The Bulls should have made a move and decide to build a team for their new coach, Fred Hoiberg and his style of play or to build around their better players and make it work. It seems they are floating in between the two. This Bulls roster was once touted as a premier Eastern Conference team, especially under Thibs. It’s actually ironic to see how much this roster is underperforming in terms of previous years because it has showcased to the rest of the league how much Thibs was able to get out of this roster. From 60 win teams to their fans hoping for the 7th seed, it’s safe to say the Bulls need to look at themselves in the mirror and make an honest assessment. Yes, I would love to be sitting at our 2nd seed throne BUT we need to be realistic. If we maintain our choppy play, say a little above average, 7th seed is very probable. This would most likely land us against the Raptor’s who we have their number this year. Gives us a big opening round win to give us confidence going into a tough series against someone like the Pacers. Thoughts? I always get down when I see a great player stuck on a bad franchise. This happens to be the case for arguably one of the most unique big men to ever play the game. Sure, I am writing this after his historical 59 points and 20 rebound game but the point is the Pelicans (formerly Hornets) aren’t making life any easier on him. His first year in the league he posted a 27-55 record as a 19 year old rookie. The following season he posted a team high 10.4 WS (Win Shares) and they improved to 34-48 with the additions of Tyreke Evans and Jrue Holiday, still an underachieving year based on the talent of the roster. In his third season, his first playoff appearance, the Pelicans went 45-37 and we saw his WS jump to 14. The problem with this franchise was they actually fired Monty Williams after the playoff appearance during a season where Jrue Holiday only played 40 games and Eric Gordon missed 21 games. In my opinion this was not a disappointing season given he cards they were dealt. Flash forward to today, the Pelicans under Alvin Gentry are 22-33 (.400 win %) and running a faster pace style of game, trying to mimic the Warriors where Gentry was an assistant prior to accepting the Pelicans job. It isn’t working out right now as their offensive rating is worse than the previous two seasons. Anthony Davis needs a franchise that has direction and a plan to build around him. Unfortunately, we are going to be stuck with another playoff less Anthony Davis appearance. This is Karl-Anthony Towns world and we are just witnessing it. Kristaps Porzingas has come back to reality some and Jahlil Okafor isn’t performing as well as KAT on both ends of the floor. I was hoping this would become a closer race near the end of the season but it is just KAT running away with it doing historical things for a rookie. The good news is that the Lakers rookies are finally being let loose after Byron Scott loosened his leashes on them, most likely from ownership or Kobe himself. I am also excited to see what Mario Hezonja does to the end year with the trade of Tobias Harris freeing up some minutes for the young stud. It seems every time I do this article, the night before we get a few new guys to our favorite category, the triple double. Let’s welcome in Kyle Lowry and Giannis Antetokounmpo to the list. 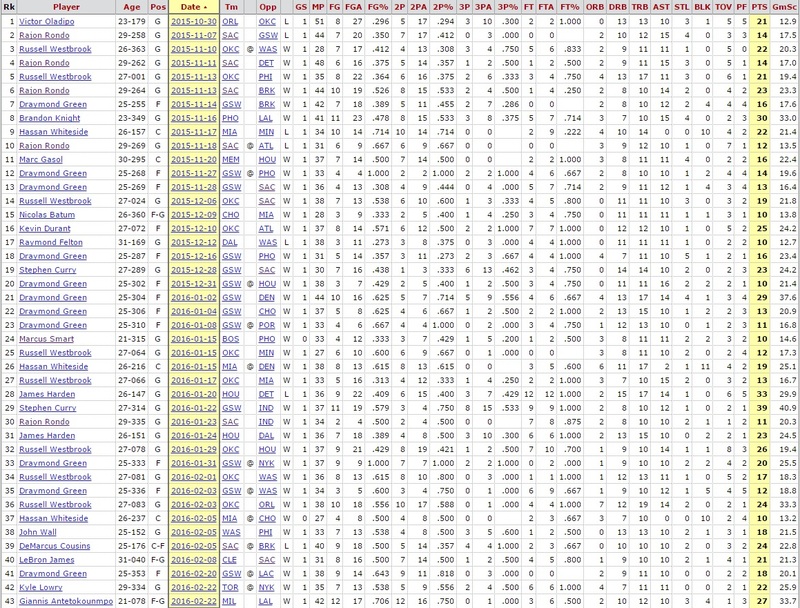 Also, it appears we may be having one of the best seasons in terms of triple doubles as we have 43 already. The previous two seasons, the league saw 46 each year. Man, I love Marcus Smart but he does these tactics more often than I would like. Kudos to him because he got the call. Karma paid him a visit as he missed the game winning three pointer.